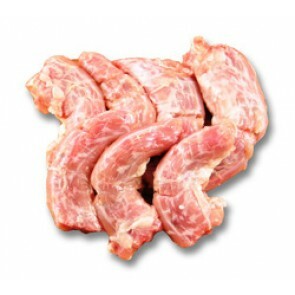 Lovingly hand made with low salt garlic butter infused with parsley on top, our famous real smokehouse bacon wrapped around a juicy thigh fillet weighing out 200 - 250 grams each. 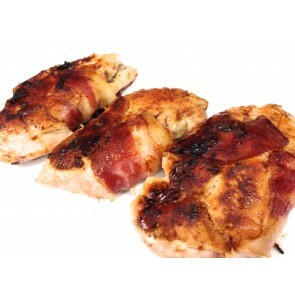 Our favourite part is when the garlic butter melts through the chicken and bacon. Cooking guide: 35 - 40 minutes in a pre-heated oven at 180°c. Take advantage of our special $33 offer! 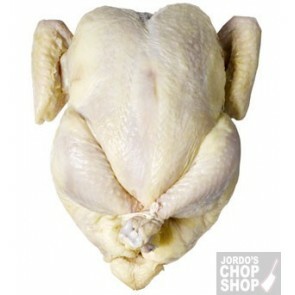 Try out www.jordoschopshop.com for yourself and get 1kg of chicken breast, 1kg of premium beef mince and 1kg of Jordo's thin beef sausages for only $30. MAXIMUM 2 PER CUSTOMER. feel free to share this offer with family and friends. 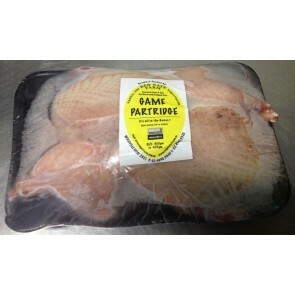 Fresh barter steggles whole chicken, so fresh we have them delivered twice daily. You can really taste the difference! Also available: Whole free-range chicken, see options below. Fresh (twice daily) Barn Raised ' Happy Chicken' chicken breast fillets AVAILABLE SKIN-ON OR SKIN-OFF (see skin on breast fillet). Jordo's Tip: If you're making peking duck, make it the day before and your flavours and texture will be greatly improved! Size: for multiple of the same size please enter your order weight total and tell us what size ducks you need in the comments box below. These tasty game birds are available year round fresh. 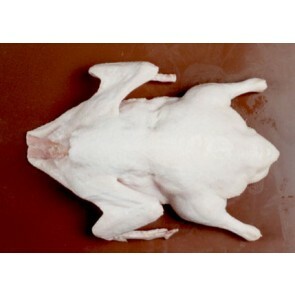 Also available: large 500gm & extra large 600gm spatchcock (see options below). Our most popular Christmas turkey item, now available all year round! Sizes: Each fllet weighs approx 2.5kg, please keep this in mind when entering your order weight. Cooking Instructions: Comes vacuum sealed and fully cooked. You may take it straight from the bag, slice and serve cold or bake and serve hot. Fresh (twice daily) Barter Steggles chicken breast fillet mince. Jordo's tip - Try substituting chicken mince into dishes you would usually make with other mince and you'll be surprised at how versatile it is. 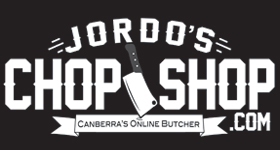 Jordo's Chop Shop is the official home of the turducken in Canberra! What All Is This Nonsense? 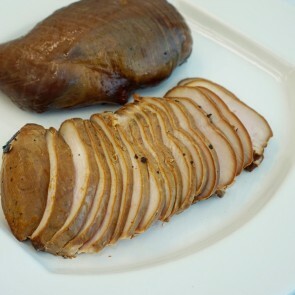 a turducken is a mystical Christmas turkey (available year round) that is stuffed with a duck, the duck is then stuffed with a chicken and the chicken is stuffed one of our premium hand made stuffings. The original turducken (our favourite) has chopped apple & smoked bacon rasher stuffing inside but you can choose from a variety of flavourings below. Note: we only use free-range birds to make our turduckens. The whole turducken is boneless with the exception of the turkey's legs and wings that remain bone-in for aesthetic purposes. Available all year round (not just Christmas week). If no stuffing is chosen below you will receive the default apple and bacon strips stuffing. Basting & Cooking Tips: whilst roasting, baste the turducken in the fat that comes from the turducken with a basting brush. 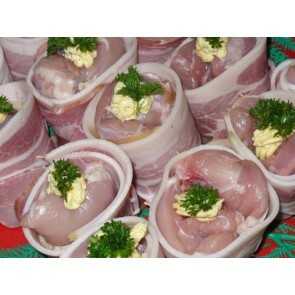 You also might like to wrap the turducken in Jordo's Real Smoked Bacon for extra taste and moisture. Aim to cook your turducken for 1hr 10mins per 1kg @ 165°c. For best results use a digital meat thermometer and cook until the core temperature reaches 67 degrees Celsius. If you don't have a meat thermometer you can add one to your cart here. 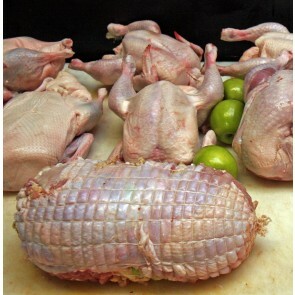 Size: our turduckens weigh between 3.5-5kg each (boneless), please keep this in mind when entering your order amount. Note: we have now reduced the maximum size to 5kg to ensure easy cooking and oven fit. If you order over 5kg you will automatically be given two or more rolls equal in weight to make up your desired weight. 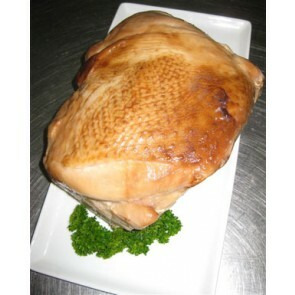 An average 5kg turducken will feed 22+ people if serving with ham etc. Now also available: POLAMBEF! 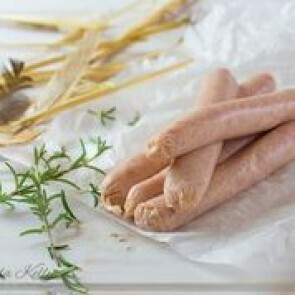 pork, lamb and beef roll, the new fronteer in roasting madness see it here. Available year round fresh in 6 packs. 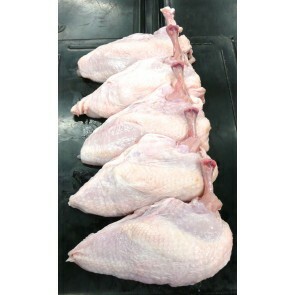 Also Available: large (180-200gm each bird) see order details. Mega Chicken Lovers Meat Pack - 25% Discount! Swaps are OK! : We're happy to for you to swap two items for two different items of your choice, we will automatically swap them to equal value of the swapped items. Please leave your swapped item and packing preference notes in the provided space below. Club-style fresh chicken breast schnitzel,dipped in our original eggless batter mix then rubbed with fine white bread crumbs. Also available: Gluten-free Chicken Breast Schnitzel. With garlic butter, chicken mince and golden breadcrumbs. Popular as a weekly dinner and also great for entertaining. Cooking Guide - 30 - 35 minutes in an oven pre-heated to 180°c. 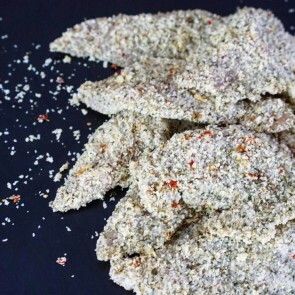 Fresh chicken tenderloins in tasty lemon parsley crumbs, one of our best selling schnitzels (and popular with the kids too!). 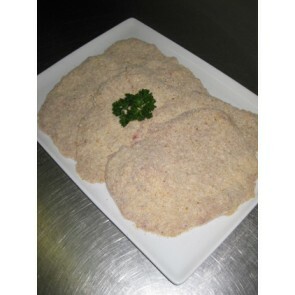 Also available: Herb & Garlic Mini Schnitzels. Fresh daily, premium breast fillet with garlic butter filling. 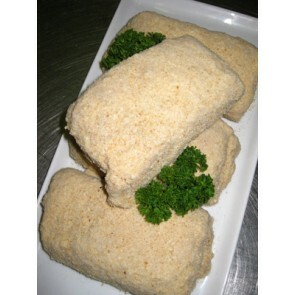 We're regularly told our kievs are the biggest and best in Canberra! Cooking guide - 40 minutes in an oven pre-heated at 180°c. 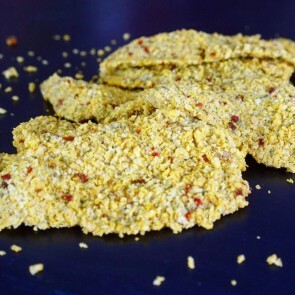 Barn Raised 'Happy Chicken' fresh chicken tenderloins in tasty herb & garlic crumbs, one of our best selling schnitzels (and popular with the kids too!). 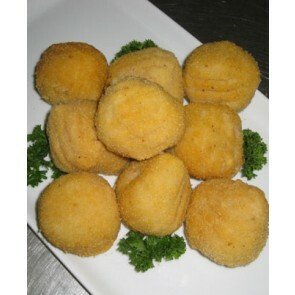 Also available: Lemon Chicken Mini Schnitzels. 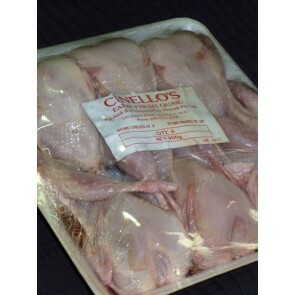 Fresh large meaty chicken carcases. 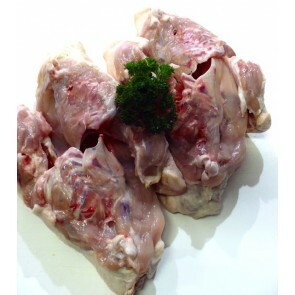 Uses - Carcases are good to boil up with herbs and veggies to make a home made chicken stock. They also make pretty good dog bones. 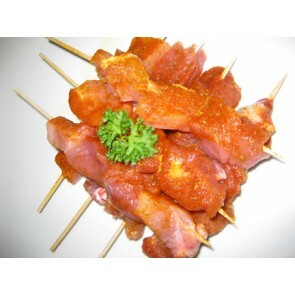 Fresh chicken wingette pieces, with your choice of marinade. Great for parties! Jordo's tip: Try them in buffalo marinade! 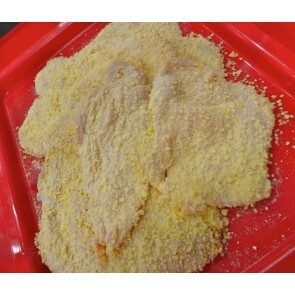 Fresh chicken breast slices, with your choice of marinade. Recommendation: We recommend the herb, chilli and garlic marinated steaks (not hot at all), they are also the most popular in-store. Uses: Great as a low cost steak, when BBQing for large groups. Fresh Barter Steggles chicken necks. 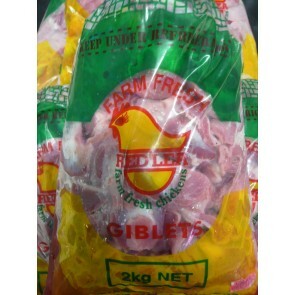 Quantity: Sold in 1kg frozen bags. Uses: Can be used in specialty cooking and are a popular pet food. Hand made with love, our variation includes a ham and cheese and are not shy with the fillings fillings. Cooking Guide - 30 - 40 minutes or until golden brown in an oven pre-heated to 180 degrees, lightly oil or grease your oven tray first to avoid sticking. These can also be shallow or deep-fried. 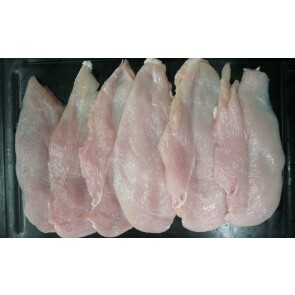 Fresh lean diced chicken breast meat. See below for FREE marinade options. 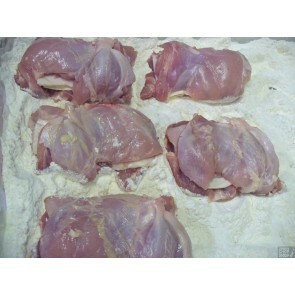 Jordo's tip: For extra moist, tender and tasty diced chicken for casseroles etc see: Chicken Thigh Fillets. Fresh lean chicken breast strips. Great for stir-fry and stroganoff. Buy bulk and Save! Fresh barn raised, Free top roam, cage free chicken wings. 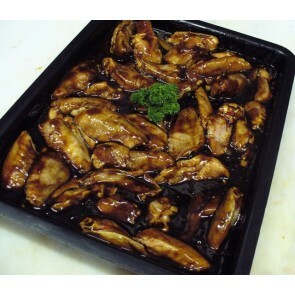 Recipe idea: Simple honey soy wings. Mix soy sauce, honey and minced garlic with wings to your preferred taste and heat in a large wok until the meat is falling from the bones. Serve on brown rice and drench the rice in the extra sauce from the wok. 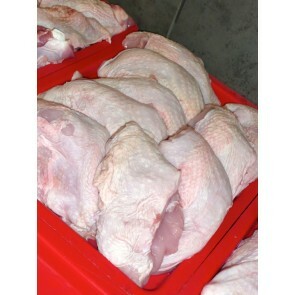 Fresh (twice daily) Lionica chicken thigh fillets. Delivered boneless and trimmed. 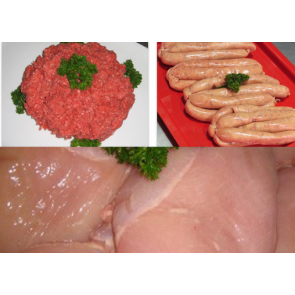 Also available skin-on, see below for free cutting and marinade options. 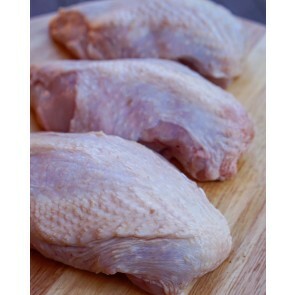 Weight: there are approx 6 drumsticks per kg. 'happy' Barn raised Chicken. Great for fried chicken. 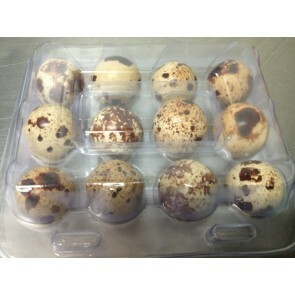 Free range options also available as easily as ticking the box. Great for fried chicken. All the hard work is done for you! We gather and cut up all of the fresh ingredients just like you would at home and then add the sauce - and we don't add any nasty preservatives or additives. 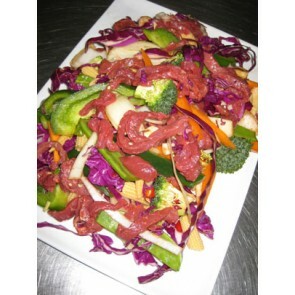 Includes: Stir-fry vegies, your choice of lamb, beef, veal, chicken, pork or combination and your choice of flavours. Please note 750gm minimum purchase.